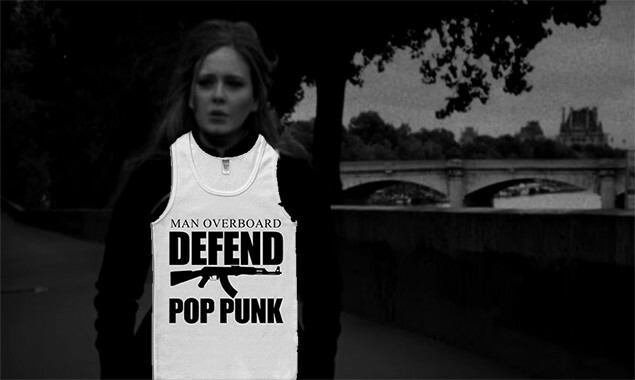 Pop-punk Adele is a thing now. A bunch of people have taken a screengrab of the megastar doing a classic fingerpoint and put loads of pop-punk lyrics over the top. Here are the very best ones. And Neck Deep, of course. This one's 'A Part Of Me'. She ups the tempo for State Champs' 'All You Are Is History'. Got emotions? Adele too. Turns out she also listens to Real Friends. She reps UK pop-punk as well! Like ROAM's 'Headrush'. And that line on WSTR's 'Brainsick'. Oh, and more Neck Deep. Obviously.